Hi, we are both British, Non Smokers, both retired in our early 60s, fit, healthy and house trained. For a number of years we ran our own business and decided in 2017 to stop work and enjoy life a little. Gary is sports mad, football, rugby and golf, we both love travelling, Rita loves cooking, keep fit and swimming. We enjoy a healthy lifestyle and the odd glass of red wine. We have two grown up children and two lovely grandchildren. Having had dogs for over 30 years, its was a terrible day we lost little Ellie, our beloved Labradoodle, we had her for 16 years, she was one of the first ever Labradoodles released by The Australian Guide dogs association in 2000. We were living in Australia at the time. She was our first pup, before that we always had rescue dogs, which has its own challenges as they were all older dogs , two Dobermans and a Lab, over 15 years, they all gave us great love and affection which we hope they got back ten times over. 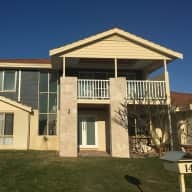 Having a house of our own which is rented out, we know how important it is to get the right person/ couple who will treat your home as their own and we would give the house the same care and attention as we would our own, including a bit of gardening, small maintenance jobs and pool cleaning if required. We will always leave as we find. We own a property in both Australia and the UK, and spend time doing maintenance on them all , Gary can turn his hand to most jobs when required and Rita is a great home carer. We have done three house sitting gigs so quite new but keen. Jill, in Mullaloo, Western Australia, we looked after her house and two dogs, Kenny a Big sausage and Charlotte a Bassett Hound. Vicki in Hillarys, Western Australia, we looked after the house, a very welcome swimming pool and Archie, a cross Staffy/Jack Russell. As previously mentioned, we are dog lovers, but love all animals, both of us had pets as children and we had dogs and cats during 90% of our marriage so far and one day we plan to have a dog again. We love walking and taking dogs out and just having animals around. Any pet with us would get 100% love and cuddles you can be sure of that. Gary and Rita house and pet sat for us for three weeks. I cannot recommend them enough! Before the sit, they were very easy to communicate with and after we met them we felt very confident that they would take good care of our home and three pets. Our pets (2 cats and one dog) are all rather needy as they are used to lots of attention and cuddles. They were all very happy when we got back and greeted Rita and Gary with great enthusiasm when they returned later to drop off the house key. The house was left in an immaculate state, the pool was all in order and they did a fantastic job of watering our plants and garden (not easy in our hot weather). They kept in touch with us throughout the sit and messaged through pics and videos so we could see the pets were well. We would definitely have them back to house sit again and I cannot recommend them highly enough. Thank you so much for a lovely review. It was an absolute pleasure to look after Levi, Freddie and Sam (missing them!) in your beautiful home and would be happy to sit again . Gary & Rita were the ideal people to look after our dog and home whilst we went overseas for a few weeks. They have been dog owners themselves and are non smokers so they ticked all the boxes for us. Our 7 year old dog Archie has been a pampered pooch and doesn't take to everyone, but within minutes was happy in their company getting tummy rubs which was a great relief for us leaving him. Our house was clean and tidy when we returned with no maintenance issues and a happy healthy dog to greet us. I am very happy and confident to recommend Gary and Rita to respect and look after any pet and their owners home. Rita and Gary looked after my 2 dogs earlier this year. My dogs took an immediate liking to them and I knew that I could go away with peace of mind and I was not wrong, I came home to happy,well loved dogs and would definitely use them again . Gary & Rita looked after my 2 cats last year for a period of time. I found them to be 100% trustworthy, friendly and reliable. My cats were so well cared for, as was my house and garden! I wouldn’t hesitate in recommending them and hope to have the opportunity to use their services again in the future.